King Tupou VI has reportedly appointed a new government of Tonga with effect from Friday, 5 January, 2018, a reliable source said. Kaniva News understands letters of appointment were delivered by the palace office to the Prime Minister and all his proposed new cabinet ministers over the weekend. 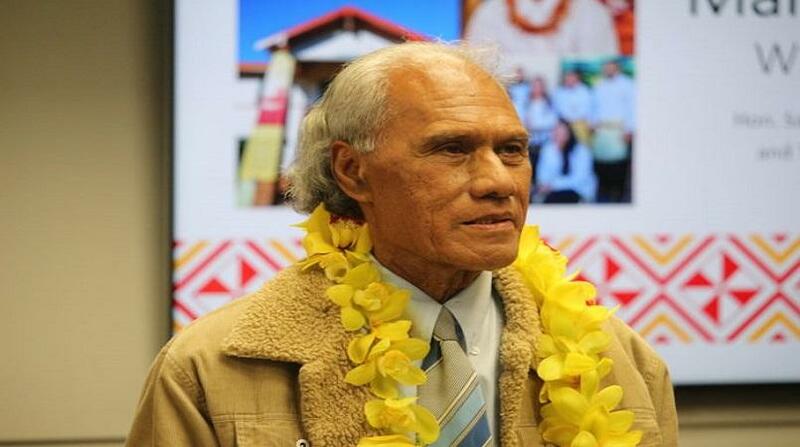 The appointment was made after Prime Minister ‘Akilisi Pōhiva submitted his cabinet lineup to the king on Thursday. It is understood the king was expected to have an audience with the Prime Minister sometime soon. The Prime Minister’s office is expected to officially announce the new cabinet positions this week. The ministerial appointment comes after Pōhiva, 76, became Tonga’s new prime minister on Tuesday 2, accepting reaffirmation to govern from the king after His Majesty dissolved Parliament in August 2017. Pōhiva, who won a landslide 14 of the 17 people’s parliamentary seats in a snap election in November following the dissolution, has promised to lead a “king, nobility and people’s government” dedicated to social justice over the next four years. Pōhiva first announced the new lineup during a private meeting with his Democratic Party in Nuku’alofa last week before he submitted it to the royal palace office. A copy of the list of the ministerial lineup was leaked to Kaniva News shortly after the meeting. Kaniva News sought confirmation of the list from the Minister of Justice before publishing it on Thursday morning. The minister confirmed it and said it has yet to be officially announced because it was being submitted to the king as part of the constitutional process.